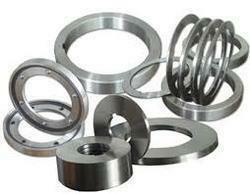 Polytec custom manufactures Stripper Rings to suit your specific requirements. We are involved in the provision of premium quality Industrial Spacer to clients at budget friendly market prices. We are manufacturer and supplier of Metal Spacer. These are manufactured by using superior quality materials and modern techniques. These metal spacers are made according to clients required specifications. 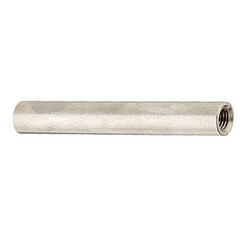 Spacers provided by us are known for durability and corrosion resistant features. These Spacers can be provided in variety of colors, material, sizes and harnesses. In order to fit over steel rings, these Spacers can be supplied as rings. Furthermore, these Spacers can be bonded and molded onto steel rings. We are leading manufacturer, supplier and exporter of MS Spacer and all types of customized spacer. We cater bulk quantity queries. Note-We manufacture as per customer requirement and products specification. With an objective to fulfill the ever-evolving demands of our clients, we are engaged in offering a wide assortment of Brass Standoff Spacer. Price: Approx 450 Rs to 550 Rs per kilogram as per quality.